The Liberator crew stage a raid on a Federation communications centre on the planet Centero in order to steal a cypher machine that will allow them to listen in on Federation communications. They succeed but, during the final stages of the raid, Cally is left behind and presumed killed. However Cally is not dead: she has instead fallen into the hands of Space Commander Travis. 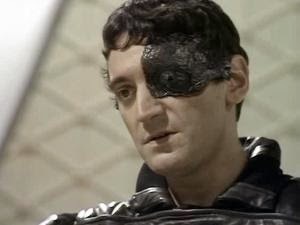 Travis is an old enemy of Blake who has been ordered by Federation Supreme Commander Servalan to find and kill Blake. Travis plans to use Cally as bait to bring Blake to him. Via the cypher machine, the Liberator crew discovers that Cally is being held by Travis on Centero. 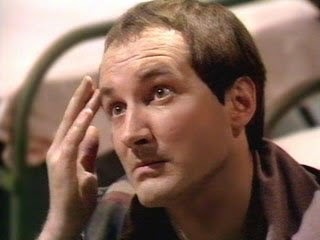 Blake devises a plan to take Travis by surprise and rescue Cally. Blake: This episode provides some background on Blake and, in particular his relationship with Travis. As we already know, prior to the first episode Blake was a formidable thorn in the Federation's side who was eventually captured and brain-washed into supporting the Administration. Here we discover that it was Travis who was responsible for Blake's capture. 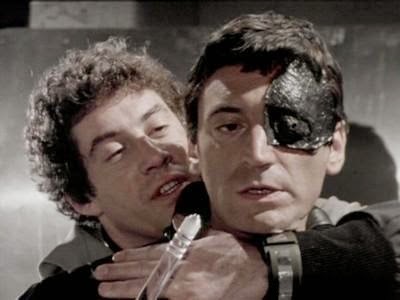 In the ensuing struggle, many of Blake's followers were killed and Blake shot Travis, mistakenly thinking that he'd killed him. All of this explains why Blake is reluctant to abandon Cally once he discovers that Travis has captured her. Not only does he know what Travis will do her but too many of his friends have already died and he doesn't want to lose another. 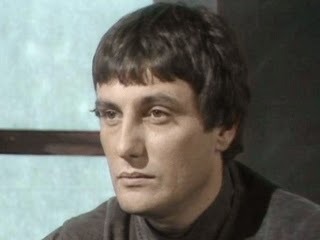 Avon: Seems surprisingly happy to take part in the raid on the communications centre and uses his technical knowledge to identify the cypher machine that the group want to steal. That said, he seems to feel a bit awkward about taking praise for his work. When thanked by Blake for getting the machine to work, he rather stiffly responds: "At least I'll know what the Federation is planning. Jenna: Operates the teleport during the raid. When the crew believe Cally to be dead, Jenna tries to get to stop feeling guilty about it and make peace with himself. Vila: During the raid he distracts some guards by simply going up to them and asking them where he might find something that he can blow up. He then uses his lock picking skills to allow Blake to access the communications centre. Unfortunately, all his good work is undone somewhat when he fails to stop another guard setting off an alarm. 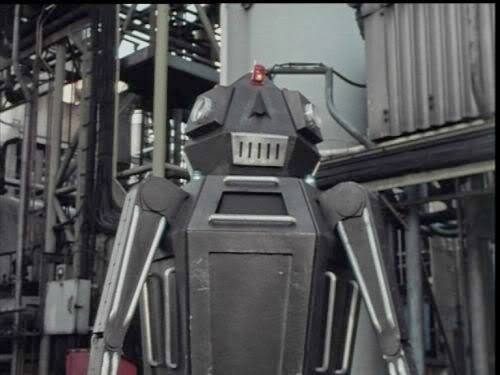 Gan: Gets to use show off some impressive physical prowess during the raid, first by tearing the cypher machine loose from its holding with his bare hands and then by blocking a doorway and keeping a squad of guards at bay. Cally: During the raid she is left guarding some prisoners. Getting into a scuffle with one of them she loses her teleport bracelet and doesn't make it back up to the ship before the communications centre is destroyed. The others initially don't realise that she's not back on board and then assume that she's dead. Cally, however, has survived and is handed over to Travis. Travis tortures Cally for information on Blake. 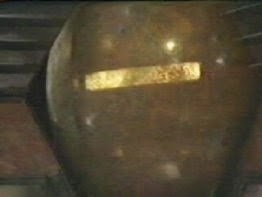 She refuses to give any information but is then put into a torture machine similar to the one we see being used on Blake in the first episode. It's not actually revealed what if anything she tells Travis. Cally is then used by Travis as bait to try and trap Blake but Blake turns the tables and rescues her. Zen: Doesn't really do anything of note in this episode. Servalan (Jacqueline Pearce): Supreme Commander of the Federation, in charge of their military forces. She is based on a large space station. 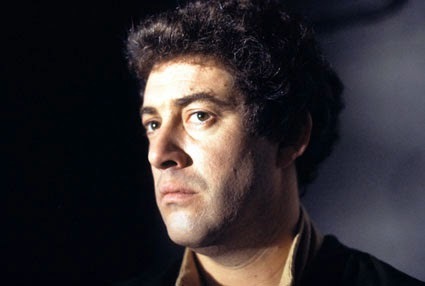 The President of the Federation, concerned that Blake is becoming a legend, has instructed Servelan to eliminate Blake. She in turn has appointed Travis deal with the problem. 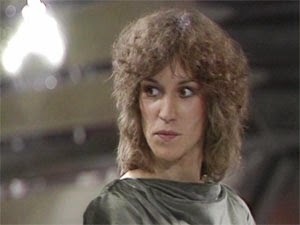 Servalan's decision to appoint someone as morally dubious and mentally unstable as Travis shows both how ruthless and determined she is to achieve her ends and how little she cares for popular opinion. There are, apparently, a number of Federation officers who disapprove of Servelan's actions and refuse to work alongside Travis. 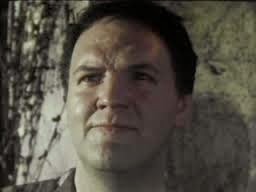 Travis (Stephen Greif): Travis is appointed by Servalan to kill Blake. At the time of his appointment, Travis has been suspended from duty due to his actions on the planet Auros. On that world he had massacred half of the population in order to hound out opposition to the Federation. His over-zealous methods have made him something of a liability to the Federation Administration but Servelan persuades her superiors that Travis is the best person to hunt down Blake. As has already been mentioned, Travis was responsible for Blake's earlier capture. Although Travis was shot by Blake in that encounter, he was not killed. According to Travis a field medic saved his life but it did result in Travis's face being disfigured on one side and in losing his left hand. Travis's disfigurement is covered by a half-mask while his has hand has been replaced with artificial one. A powerful weapon has been built into the hand. Travis states that he could have his face repaired but chooses not to as it's a reminder that the man who caused it (Blake) is still alive. When Blake rescues Cally, Travis tells Blake to kill him because, as long as he lives, Travis will be after him. Blake chooses not to although he does damage Travis's robotic hand. This was the first episode of Blake's 7 that I saw (well, other than some hazy memories of the final series when I was 2) and it works as a perfect introduction to the series. The opening raid on Centero sees every member of the team playing a role and highlights a number of their key character traits and skills. Blake's the leader, Vila's the cowardly lock pick, Avon has the technical knowledge and Gan's the muscle. The ladies don't come off quite as well: Cally is left on guard duty and then gets captured while Jenna is on teleport duty once again. This episode also introduces the two main antagonists of the series - Servalan and Travis. For much of the rest of this season these two will hot on Blake's heels. Both are excellent characters and it's immediately obvious that they will be worthy foes for the Seven - although Travis couldn't look more evil if he tried. Dressed all in black, with an eye patch - subtle it is not.